Dent Erasers has been serving Contra Costa County for the past 14 years. 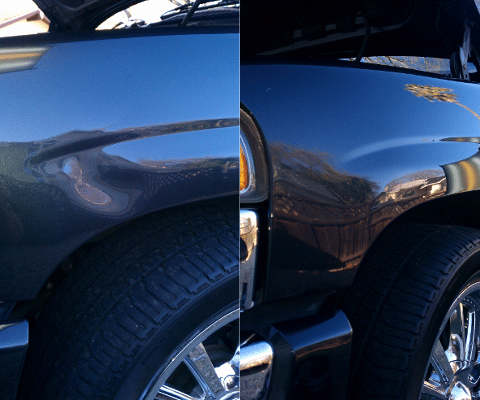 Paintless dent repair should always be your first option when you are looking to get a dent repaired in your vehicle. You can typically save 50% to 70% of traditional body shop costs. Brian Blanc has trained in the art of Paintless Dent Repair for the past 14 years and now has achieved the title of Master Tech. The art of Paintless Dent Repair is skill that takes many years to master and the education and training is on going. Brian is still very active in honing the skills required to remove small and large dents in several models and makes of vehicles foreign and domestic. Dent Erasers LLC also has years of experience using a glue puller that is a special skill that most dent techs have not mastered. This service is typically used with hail damaged vehicles, and inaccessible areas on the vehicle. We currently serve areas in and around Concord, Alamo, Antioch, Brentwood, Lafayette, Martinez, San Ramon, Danville, Walnut Creek, Pittsburg, Pleasant Hill, and Orinda, Hercules, Benecia. Our services can be an important part of you saving money with your dent repair needs. Some of our clients like to call us their “dent doctor” because we provide top notch paintless dent removal at your location. No need to take your car or truck to an auto body shop. We come to you to remove dents from your vehicle. Yes, we make house calls! If you notice that someone or something caused a dent on your car or a bump on your car fender, give Dent Erasers a call. We can remove dents and dings from almost all of the panels on your vehicle. We have a lot of experience working with auto dealerships, rental cars, auto insurance companies, and leased vehicles. To avoid costly penalties when you return a rental car or a leased vehicle you, you want to make sure it is completely reconditioned and dent free before you return it. Dent Erasers is the best paintless dent repair in the far East Bay. 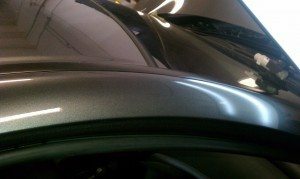 Your vehicle will look like new because we have years of experience to do your paintless dent repair right the first time. Dent Erasers saves our customers time and money and we’re nice guys as well. 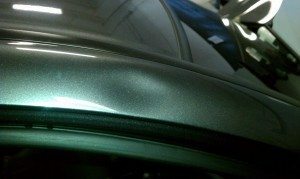 We are one of the elite few paintless dent repair companies in the East Bay and have more experience than most paintless dent repair services in Northern California. I carry all of mypaintless dent repair tools with me at all times so that when you call I can usually provide same day service. 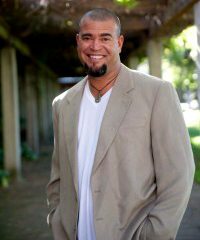 “I had a small crease dent in my car door and was referred to Brian at Dent Erasers. Brian and I scheduled a time convenient for both of us. Very courteous on the phone. He showed up right on time and got straight to work. After watching him, I have to say that what he does is truly a craft and an art. He got the dent out completely. I was expecting some sort of witness mark, but NONE! I know where the dent was, but if you ask me to find it now, I can't anymore. He calls himself a paintless dent-removal technician, but after watching him do his magic, Brian is really a magician. I know who I am calling next time, guaranteed. Please share about your experience of getting your dents and dings repaired by Dent Erasers LLC.